Walnut Creek, Calif. — The City of Boise, Idaho, and Brown and Caldwell received a national honor in the American Council of Engineering Companies (ACEC) 51st Engineering Excellence Awards competition. Known industry-wide as engineering’s “Academy Awards” — the competition concludes with a gala celebrating U.S. engineering firms for projects demonstrating exceptional innovation, complexity, achievement, and value. Thirty-six projects were honored before an audience of industry professionals, government officials, and dignitaries at the April 17 event in Washington, D.C. The prestigious Grand Award, one of only 16 given annually, was presented to the City of Boise and Brown and Caldwell for the Dixie Drain Phosphorus Removal Facility. Grand Awards recognize engineering accomplishments that contribute to the advancement of engineering and enhances the economic and social welfare of the public. This year’s competition yielded hundreds of entries as a distinguished panel of judges selected the nation’s best projects to receive Grand Awards. Treating 130 million gallons of water daily, the Dixie Drain Phosphorus Removal Facility is the first of its kind in the U.S. and considered a model facility in watershed-based approaches to meeting total maximum daily load limits — the pollutant load a water body can receive without violating U.S. Clean Water Act standards. To reduce the impact of excess phosphorous entering the Boise River, regulations required a 98 percent phosphorus discharge reduction from Boise’s water renewal facilities. As the city makes improvements at its facilities to remove 93 percent of the phosphorus, upgrades to eliminate the remaining five percent would require costly modifications. Subsequently, the city implemented a pioneering pollutant offset approach via the Dixie Drain Phosphorus Removal Facility project. Located 34 miles downstream from Boise’s primary water renewal facilities, the Dixie Drain Phosphorus Removal Facility collects ground and surface water from agricultural operations in the lower Boise River watershed, removing 140 pounds of phosphorus per day (10 tons annually). For every pound uncollected at a Boise upstream facility, 1.5 pounds are removed downstream at the Dixie Drain Phosphorus Removal Facility, a more cost-effective solution with significantly greater environmental benefits to the Boise and Snake rivers. This non-point phosphorus removal offset is written directly into the city’s National Pollutant Discharge Elimination System permit. The city hired Brown and Caldwell, a leading environmental engineering and construction firm, to conceptualize, pilot, and design the $21 million facility, which this year received two regional ACEC awards — ACEC-Idaho’s Grand Concept Award and first place in their water and stormwater category. 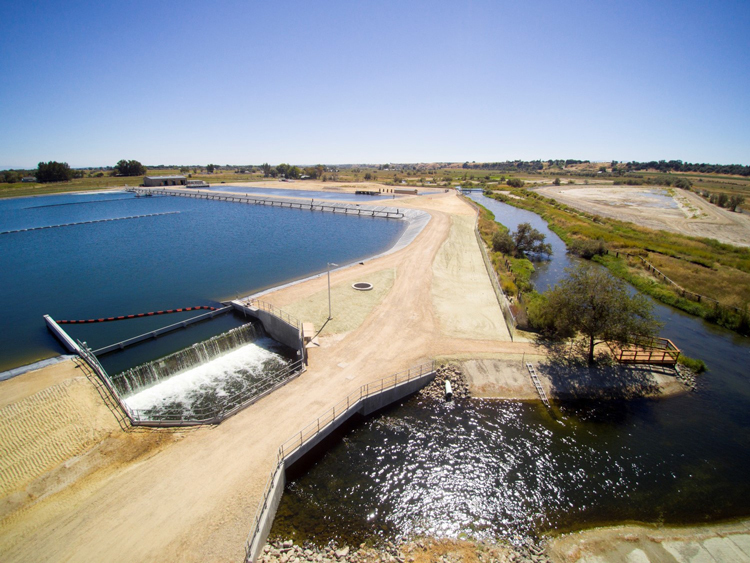 According to the city’s Public Works Director Steve Burgos, this groundbreaking yet commonsense approach is a model for regions facing nutrient removal challenges and budget constraints. Burgos attributes the project’s success to strong collaboration among numerous stakeholders including the city, Brown and Caldwell, the U.S. Environmental Protection Agency, Idaho Department of Environmental Quality, Idaho Conservation League, and elected officials. Additionally, he commended Brown and Caldwell for its steadfast partnership on the project. “From initial concept all the way through pilot testing, permitting, final design, and construction, Brown and Caldwell was with us every step of the way to make this groundbreaking project a reality,” Burgos said.